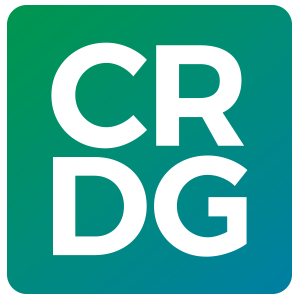 Together with the Hawai‘i Sea Grant College Program and the College of Education’s Distance Course Design Consulting (DCDC) Group, CRDG is developing a new, modular, online marine science curriculum, Exploring Our Fluid Earth (EOFE) in conjunction with the modular professional development program, Teaching Science as Inquiry (see p. 13). The project is funded by NOAA Pacific Services Center and will feature a new full-year course covering physical, chemical, biological, and ecological science, all in a marine setting. 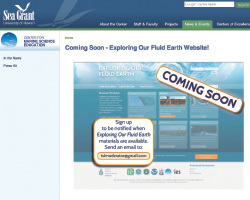 Although designed as a stand-alone course in marine science, the modular structure of EOFE allows teachers to add a marine science component to physics, chemistry, or biology classes. An added benefit of the online design for teachers is the ability to create an online learning community that will allow direct access to teacher resources as well as interaction with other site users. The EOFE platform promotes the discussion of new ideas and existing EOFE materials as well as the sharing of teacher-created resources through a unique content management system that prompts users to “stay and discuss” or “move to the right place.” Teachers can rate and write reviews of EOFE materials in addition to having in-depth discussions and sharing in the teacher forum. A variety of special features will add real-life connections in focus areas such as scientific habits of mind, history of science, traditional ways of knowing, and literacy. In addition, teacher resources for activities and question sets provide background information as well as classroom management tips and answers to questions.